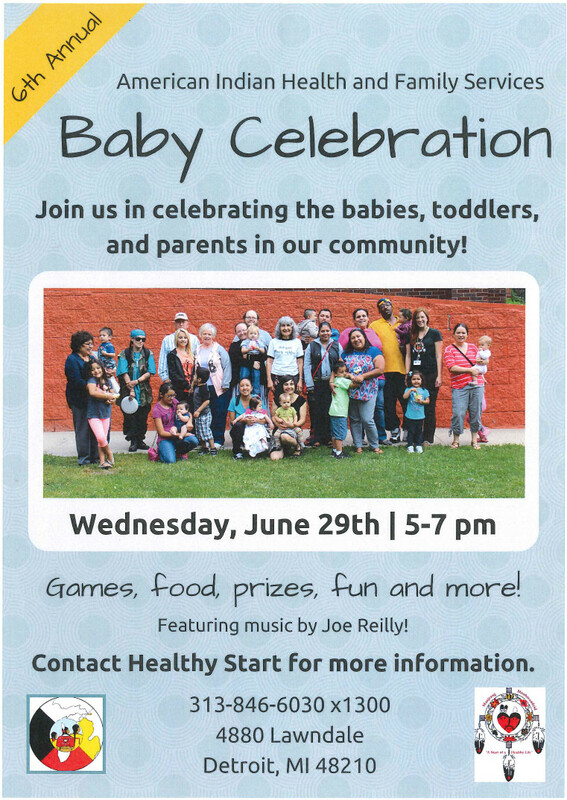 Join us for our annual Baby Celebration on Wednesday, June 29th, from 5-7pm. This is a fun event for the whole community including dinner, family-friendly activities, and raffle prizes, to celebrate all of the children and parents who have participated in Healthy Start/Family Spirit this year. This year we will also be featuring music by Joe Reilly. Everyone is welcome! AIHFS will be closed Monday, July 4th, for the holiday. All regular business will resume the following day. We need garden helpers as much as our garden needs sun and water. Join us for some garden work and fun learning activities for the whole family. 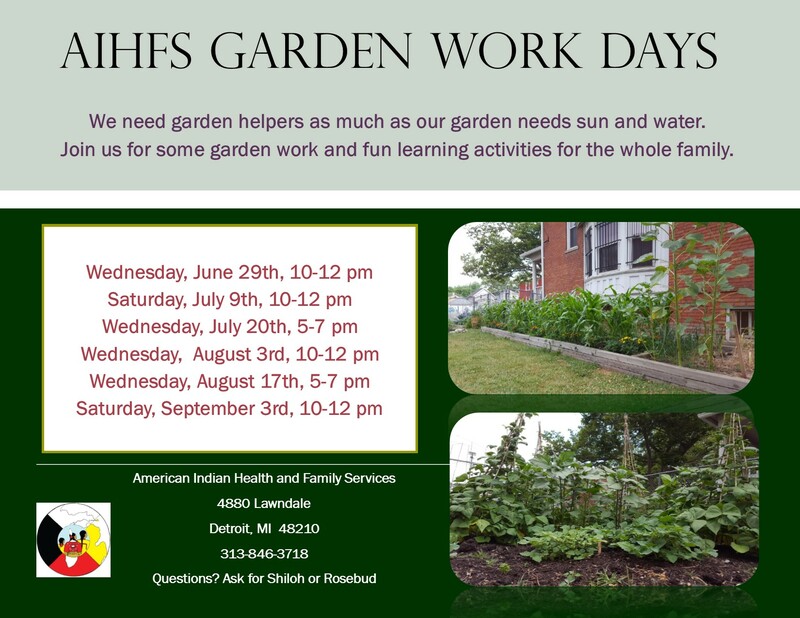 Our next garden work day is Saturday, July 9th, 10am-12pm. 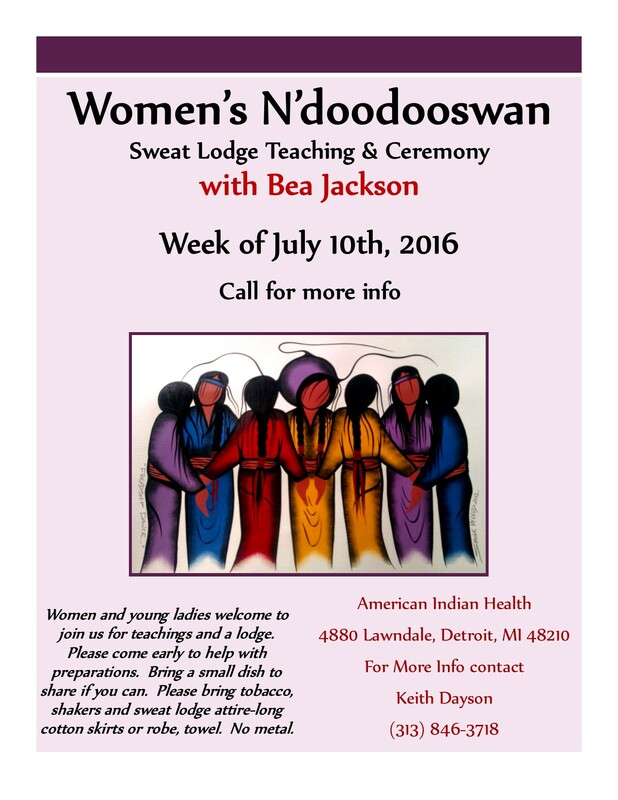 For more info, ask Shiloh or Rosebud at 313-846-6030. 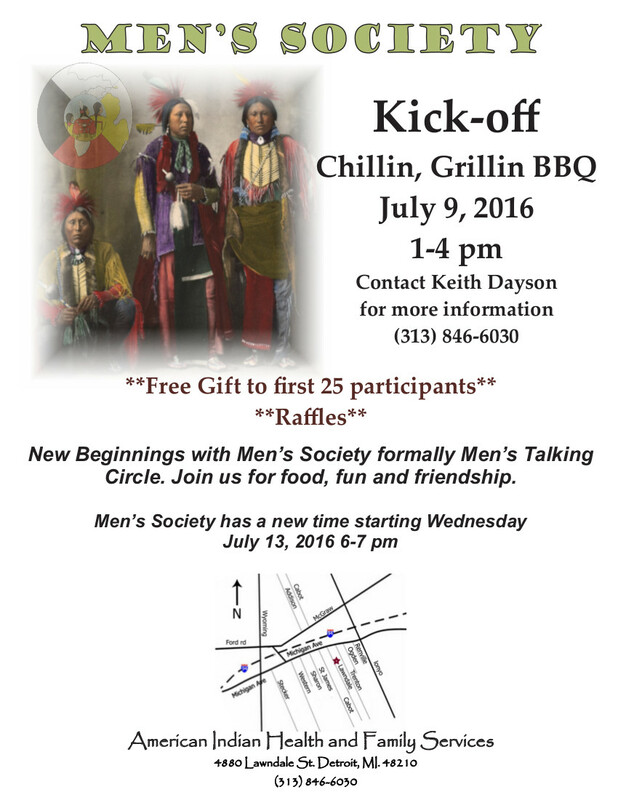 Saturday, July 9th, from 1-4pm, we will have a chillin and grillin BBQ to kick-off the new beginnings for the Men’s Society, which was formally known as Men’s Talking Circle. Join us for food, fun and friendship. For more info, contact Keith Dayson at 313-846-6030. Our AIHFS staff participated in the Healthy Selfie Contest. Here are the pictures of them participating in healthy activities. As a part of our Community we would like your help in choosing the best Healthy Selfie. Please take the time and click the survey link to help vote for the best Healthy Selfie. The survey will close July 8, 2016 so please cast your vote as soon as possible. 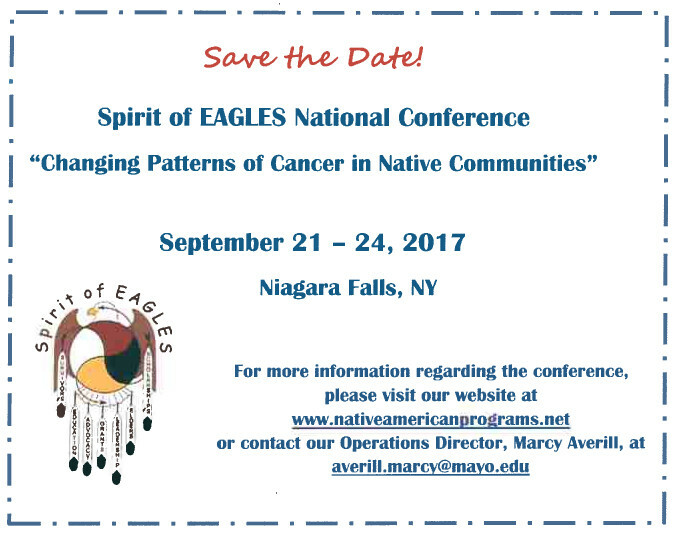 Save the date, September 21-24, 2017, the Spirit of EAGLES is having another National Conference! The American Indian / Alaska Native populations have very high incidence rates for specific cancer sites and poor survival rates for most cancers. The AI/AN Leadership Initiative on Cancer addresses comprehensive tribal cancer control. Applications are still open for next year’s cohort of the Detroit Equity Action Lab (DEAL), which will begin in September 2016 and meet through May/June 2017. The DEAL is a combination of a learning community, a support network, and an action lab made up of folks and organizations from Metro Detroit who are working for racial equity. They meet approximately 1 full day a month (and continue to work in between sessions, and beyond the fellowship year) to learn, network, and plan for action together. Diversity on many levels is important for success– needed are perspectives from all races and ethnicities, types of work, ages, and organizational perspectives. It is especially important to have strong involvement from the Indigenous community– Indigenous people and perspectives are often left out of discussions about racism and social justice, and they are needed to bring the strengths of the Native community to bear on these important issues. Please share this info with folks you think need to be here to help continue building a strong network of support for racial equity in Detroit and beyond!